BEIJING, Jan. 30 (Xinhua) -- The International Olympic Committee (IOC) has recognized Xinhua News Agency as an international news agency, IOC President Thomas Bach announced here on Wednesday. Bach made the announcement while visiting Xinhua's Beijing headquarters, where he met with the agency's president Cai Mingzhao to discuss further enhancing cooperation. Previously, the IOC had recognized Xinhua only as a news agency of Asia. Bach told Cai the decision to now recognize Xinhua as an international entity was made due to Xinhua's "excellent work" in promoting the Olympic Movement across the globe. This is the first time an IOC president has visited Xinhua's headquarters. During the meeting, Cai said Xinhua has long been committed to advocating the Olympic spirit and covering the progress of the Olympic Movement, and has enjoyed sound relations with the IOC. Cai added that Xinhua is the main outlet for covering the Olympics for China's population of 1.3 billion. Expressing deep appreciation to Bach and the IOC for their recognition of Xinhua, Cai said the agency has full confidence in its coverage of both the 2020 Tokyo Olympics and the 2022 Beijing Winter Olympics. "We hope to have more fruitful and effective cooperation with the IOC at a new starting point," Cai said. 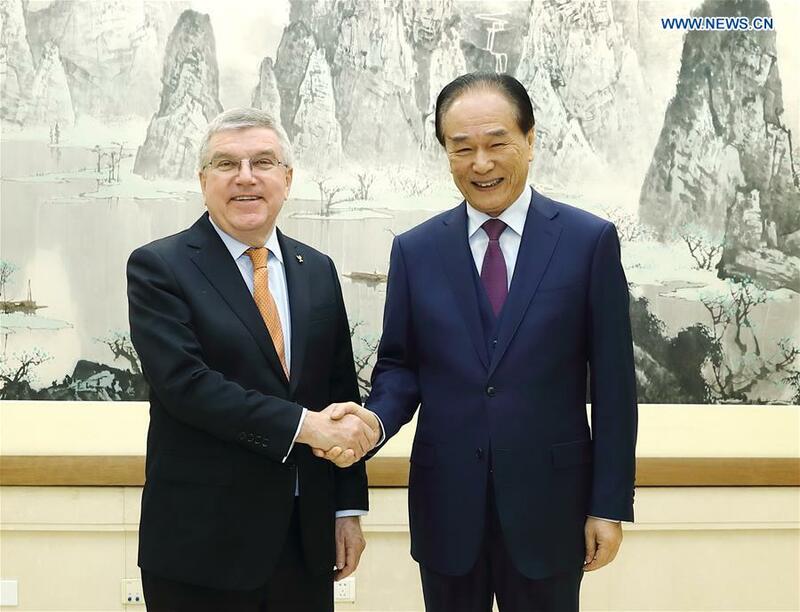 Bach spoke highly of Xinhua's long-term support and great contribution to the IOC, especially in the field of promoting winter sports in China, adding that he was looking forward to further strengthening cooperation with Xinhua. The IOC stands ready to facilitate Xinhua's coverage of the Tokyo and Beijing Games, he added. The IOC divides media outlets into two categories: international news agencies and news agencies of a country or region. A recognized international news agency enjoys benefits such as 400 square meters of space at the Olympic venue's press center, a guaranteed photo position at every Olympic venue, and direct coordination with the IOC on the accreditation of journalists.